Posted on July 8, 2011 by Mia G.
I like history. And I like seeing remnants of the past as seen through preserved artifacts. 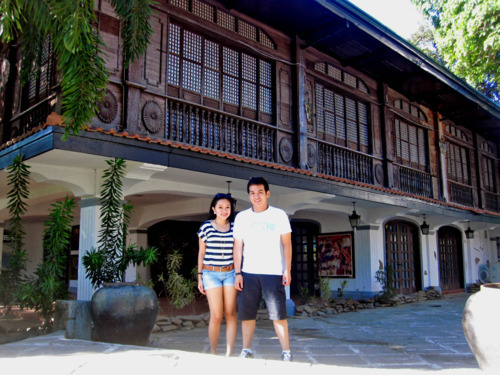 After Laoag and Paoay, we finally headed in the land of the Marcoses–Batac, Ilocos Norte. We visited the town of Batac, and it’s true—everything in Batac is about the Marcos Family and in praise of the Marcos family. It was actually quite awesome seeing the grandeur and splendor of the Marcos family, the Marcos era, and everything in between encapsulated in the town of Batac. Disclaimer: I am not in any way related to the Marcoses, or even not one of his cronies. (Haha, if so, I must be filthy rich right now!) We were just ordinary people admiring the once glorious period that their family possessed as evidenced by their luxurious material possessions and significant achievements as presented inside the museum. Unfortunately, we were not able to enter the Malacanang of the North as it was undergoing major renovations at the time of our visit. 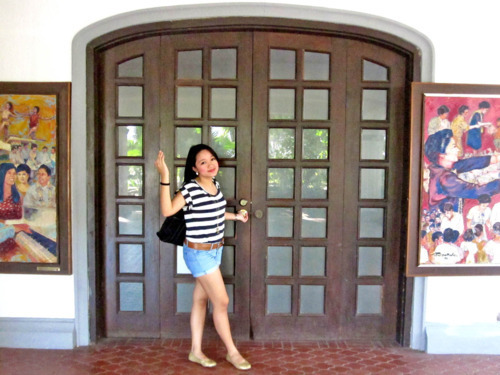 With heavy sighs, we just directed ourselves to our next destination, the Marcos Mausoleum and Marcos Museum.